During the Mortal Kombat 11 live stream, fans of the long-running fighting series got their first proper look at the game. This included the gameplay reveal, a fatalities trailer, the story prologue, the reveal of Ronda Rousey as Sonya Blade, the Geras character reveal and a behind-the-scenes look at the development. You can watch all of this footage right here. 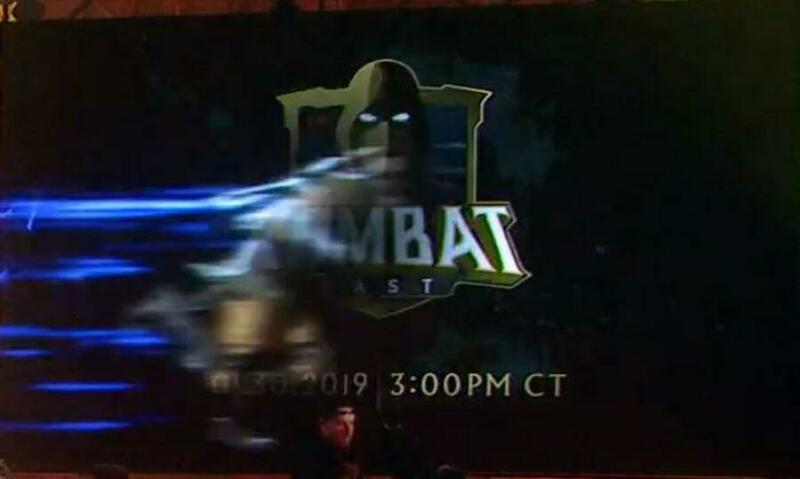 In addition to this, the Community Manager for NetherRealm Tyler Lansdown appeared on stage to announce the first Kombat Kast for MK11 will be taking place at the end of this month on 30th January. This first one is going to be "pretty big" according to Lansdown and will be live across all Kombat social channels. During this announcement, the character Kabal was shown running across the screen. The Kombat Kast on the 30th is likely to show this character and other content coming to the game. Unfortunately, much like the pre-release beta, it looks like Nintendo fans will miss out on the game's Collector's Edition. During his appearance on stage, Lansdown revealed this edition contains a copy of the game, an exclusive steel case and magnet, a Scorpion mask and a kollector box. He also re-confirmed if you pre-order any version of the game, you will receive the character Shao Kahn. Are you excited for more MK11 details on 30th January? Would you have purchased a Switch Collector's Edition had one been offered? Tell us below. So the Nintendo Switch is missing out the beta and the collectors edition. That doesn't bode well to be quite honest. Don't get the fuss about the lack if collectors edition. This is the first time the franchise has appeared on Nintendo hardware in years and I don't think it's unreasonable for them to qany to limit costs for a game that might not sell. Hopefully the game itself runs well and the sales exceed projections. Lack of dlc it strange but I'm willing to give them the benefit of the doubt for now as to why its not announced maybe they have something else in mind for Switch owners. I plan to buy the game, but I was never in the market for the collector's edition. Standard will do just fine. @bluemage1989 I do understand the commercial reasons behind why publishers may be hesitant to go all in on Switch, but after the console's been on the market for two whole years and shown itself to be super successful even for third parties, it's annoying to see companies still treating it like a lesser platform by skimping out on the Switch release in comparison to the treatment received by other consoles. As for the dlc I will try to remain positive regardless of the feeling there skimping. Alternative distribution method/exclusive characters is a ridiculous hope and will probably never happen but I will hold judgement till we know for sure what's going on. 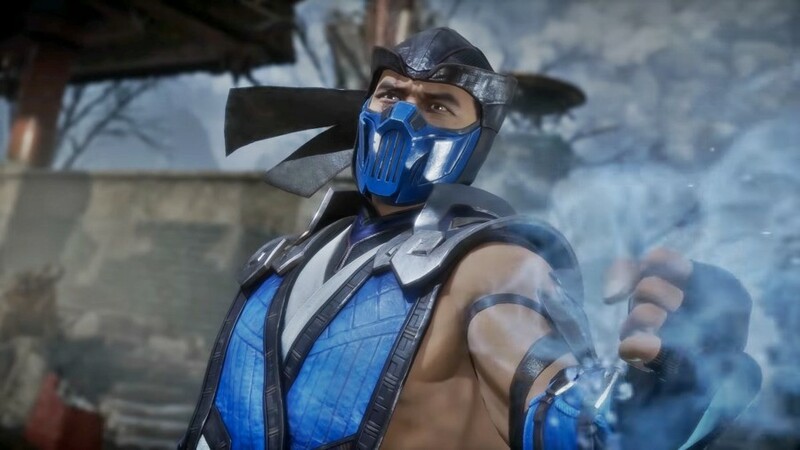 What I've seen so far gameplay wise looks fabulous I will be picking up a copy day one most likely looks like Mortal Kombat is back in all it's bloody glory. That's the company choice. My wallets choice is to spend it somewhere else. Hehe. I don’t care much about the collector’s edition but the apparent lack of DLC is very concerning. They have given absolutely no information about the Switch version of the game. Also it doesn’t seem to come out at the same time everywhere. There’s no confirmation so far that the game will be released in Japan. This bothers me to no end. @bluemage1989 I didn’t see where they mentioned the DLC. I can understand the lack of (k)collectors box, but no DL(k)C?? This would make me buy on my Ps4 if I knew that it would get additional (k)content. By now I was sure I’d be sick of K replacing c everywhere, but the game is just too good haha (going by MKX). Not bothered in the slightest about the collectors edition but would be super annoyed if I can’t purchase extra characters and pre order for Shao Kahn. 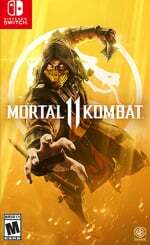 I'm surprised NL is even posting articles for MK11 when the reality is this game will most likely not be heading to the switch. There's no way, it's visually too demanding. Throwing a fighter down to 30fps and downgrading the visuals and resolution just wouldn't be worth it. But alas there's switch-only peeps out there and they'd still be willing to take all of those sacrifices. Love me some ghoulies 1 & 2, 3 isn't half bad either for what it is. But 4 is an abomination. Avoid at all costs! Switch version has already been confirmed though... Up for pre-order at all retailers too. At this point, I'm pretty sure Switch owners know what they're getting into with third party titles. Third party games may be downgraded on Switch, but that comes with the awesome ability to play it anywhere. I thought Doom on Switch ran fine and to me, the downgrades were blown out of proportion. I'll be getting MK11 on Switch too. But hey, mortal kombat on the go I guess. I'm not huge into portability so i won't be biting. I've pre-ordered and have confirmation it includes Shao Kahn DLC. Not fussed about special editions in the slightest, think they are always a waste of money. Hope we get to see some Switch footage soon. If they plan to release it on Switch, it better get the exact same content as the other versions. A downgrade in visuals comes with the territory, but we shouldn't spend the same amount of money for a lesser product. Do it right, or don't do it at all. @maruse There is no lack of DLC, the Switch will also get Shao Kahn as a preorder bonus and probably all the other DLC characters they will release. The only missing thing is the collectors edition and nothing else. @WaveBoy So far there is no evidence of the game being dropped to 30fps. Killing AA, dropping alpha effect and texture resolution, downgrading shadows, and implementing a dynamic resolution scaler should probably be enough for the game to maintain a 60fps with some potential dips during non-combat scenes. It won’t look clean on a 4K TV, but will look perfectly fine in handheld (which a lot of third-party developers are concerned with achieving). Doom was amazing on Switch, by the way. P.S. I should stress I do have a PS4 Pro and the Xbox One X as well and I still prefer the convenience of the Switch. @tourjeff Well, I said the DLC is missing because the Premium Edition, which has the Kombat Pack included, is not available for Switch. That doesn't mean anything, obviously, but it is just a little bit concerning since, so far, we don't know actually anything about the Switch version. I was bummed them not even mentioning the Switch. Maybe in a Direct and they want hold it for that but still very strange. @WaveBoy If Mortal Kombat for Vita can run at 60 FPS, despite it being a port of an XB360 game, as long as they make the right choices on porting this game over, the Switch can run this game at 60fps despite it being a PS4/XB1 game. I've always leaned more towards Street Fighter/Capcom Vs Marvel/Soul Caliber for my fighting needs. The gore for the sake of shock value is not for me. But I have really really awesome memories of playing Mortal Kombat 9 with friends at our local comic book store on Friday nights waiting for Friday Night MTG to start. I don't get why people even want the Collector's Edition, all you get is the game with some pricey junks that came with it. All the main stuff is already available through pre-order. ON the switch version give us a special Nintendo character as DLC or something since we don't get the special edition. class movies,(apart from the obvious ones) whats your feeling on Critters? ?